Bloomberg News is quoting unnamed sources as saying that SpaceX is seeking to borrow $500 million in the leveraged loan market with Goldman Sachs’ help. Today’s report said that Goldman Sachs Group is leading the talks with potential investors this week. Neither Goldman Sachs nor SpaceX have publicly acknowledged the talks, however. SpaceX has notched plenty of successes over the year to date, including 16 Falcon 9 rocket launches plus the first test launch of its Falcon Heavy rocket in February. Within the coming year, the California-based company is expected to execute its first crewed space launch, aimed at sending astronauts to the International Space Station. Significantly more ambitious and capital-intensive projects are on SpaceX’s longer-range agenda: The company is working on a constellation of thousands of Starlink satellites that are designed to provide global internet access as well as a revenue stream that, over the long run, may be more substantial than the launch business. SpaceX’s team in Redmond, Wash., has been given the lead role in the Starlink project. 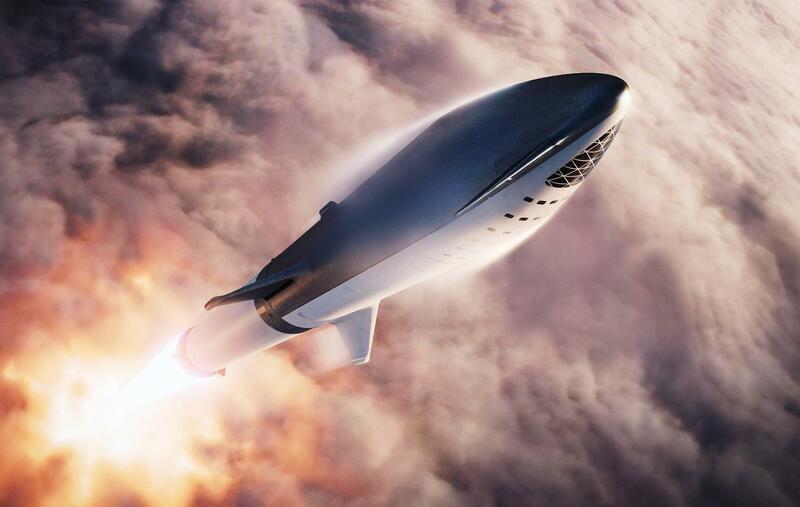 Then there’s the BFR, or Big Falcon Rocket: That super-heavy-lifter is designed to take on suborbital passenger flights between terrestrial destinations as well as trips to the moon and Mars. SpaceX has already signed up Japanese billionaire Yusaku Maezawa for a flight around the moon in the 2020s. Starlink and BFR are each expected to require billions of dollars of investment. This entry was posted in GeekWire and tagged BFR, Business, Space, SpaceX, Starlink. Bookmark the permalink.